They don’t say “like a rock” for no reason. The Silverado HD is a dependable, long-lasting, full-size truck. With the best in class horsepower and V8 fuel economy, the Chevrolet Silverado HD 2500 is the best truck for work and play alike. The Montana seasons call for a truck that can wear many hats, so come on down to Ressler Motors in Bozeman, Montana to find your fit. Whether you are towing conventionally or pulling a gooseneck trailer, the Silverado HD 2500 can handle them all with ease! For conventional towing, the 2500 can handle up to 18,100 pounds. With a max available 445 horsepower and 910 foot-pounds of torque, the Silverado HD can haul or tow anything you may need. With an available factory installed spray on bed liner, you’re adding a water sealed finish that will protect the bed of your truck. Standard cargo tie downs and bed lamps with the ability to light up the night and secure up to 250 pounds in the bed of your truck. To get in and out of the bed with ease, the Silverado comes with corner rear bumpers, which is a class-exclusive feature. The Chevy Silverado HD comes in a variety of models within the HD line. The main two options are the 2500 and 3500. These models are very similar, but the main difference is that the 3500 has a thicker suspension for more towing capabilities and the option to add dual rear wheels. 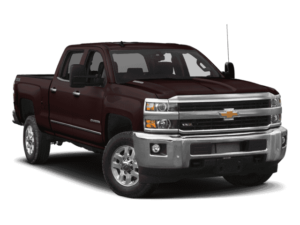 If you are looking for a truck that you can take the kids to soccer practice in and then go drive through a muddy or snowy mountain pass to the job site and be comfortable in both situations, then you need to drive over to Ressler Motors in Bozeman Montana, and test drive the Silverado HD today.